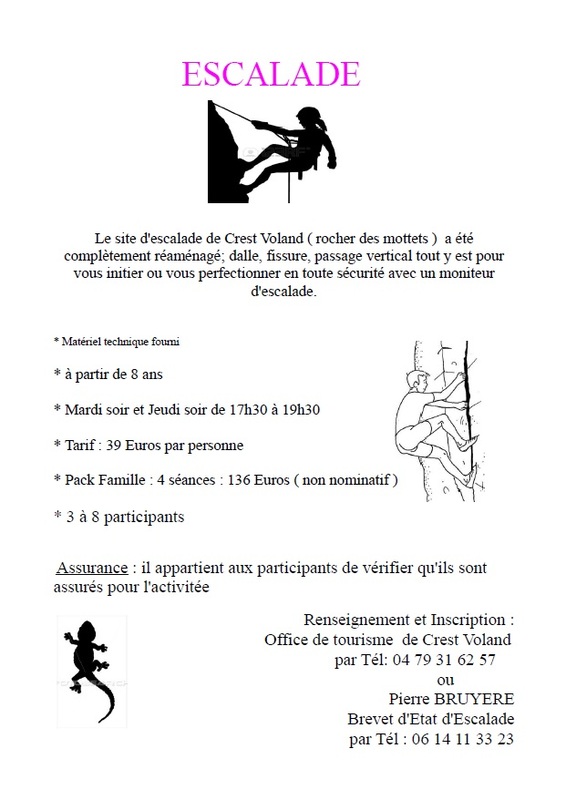 Pierre, certified instructor in Crest-Voland Cohennoz, will make you discover the climbing wall of Les Mottets. Come by yourself, with your friends or family, and discover this activity, ideal for self-confidence. From 01/05 to 31/10/2019, every Tuesday, Wednesday and Thursday between 5.30 pm and 7.30 pm. From 01/05 to 31/10/2020, every Tuesday, Wednesday and Thursday. Group and individual: rates for Via Ferrata and climbing on demand. Insurance: participants have to make sure they are covered for this activity.